The small West African nation of Benin is a poor country currently confronted with a struggling economy and widespread poverty. Economic development is hindered by land insecurity, lack of access to capital, an inefficient judicial system, and an uncompetitive sea port. In 2006 the Millennium Challenge Corporation (a U.S. governmental organization), granted over $300 million to Benin with the "aim to improve core physical and institutional infrastructure and increase investment and private sector activity." Benin's Millennium Challenge Account (MCA) program is composed of four individual projects: Access to Markets, Access to Financial Services, Access to Justice, and Access to Land. The latter project aims to create secure land tenure for citizens as well as effective governance of property issues, thereby reducing land disputes and the time for obtaining titles while increasing land security. A thorough national topographic survey will be undertaken in order to formalize property boundaries and improve cartographic capacities. The MCA has overseen the construction of 7 identical GNSS continuously operating reference stations (spread across the country) for these purposes. The UNAVCO Facility provided consultation for equipment and monument construction as well as on-site installation instruction for the first two of the seven sites. Those present for the on-site training included various employees from the MCA Land Access program as well as surveyors from the Beninese Geographic Institute. Each reference station will download and broadcast high-rate data to be used with RTK survey equipment. 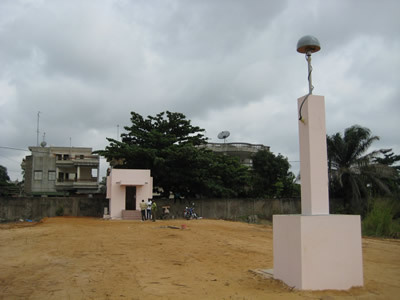 Figure 1 - The base station in the port city of Cotonou, which will also be part of the NGS network. 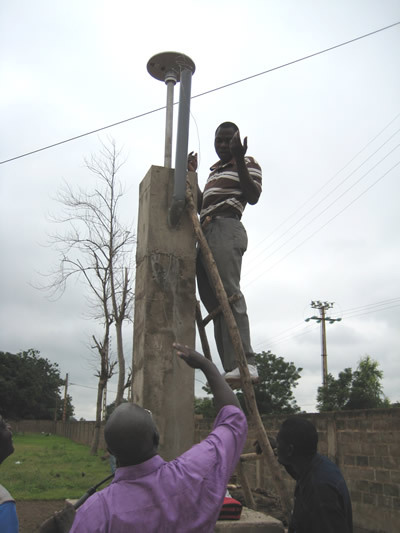 Figure 2 - Beninese IGN surveyors learning to install the antenna.